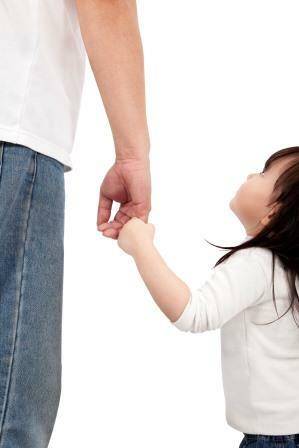 Child custody laws in Tennessee focus on the best interest of the child and parental fitness. Understanding the unwritten rules can be as important as knowing the written factors courts use to choose a primary residential parent in a disputed custody action for divorced and divorcing married parents and for unmarried parents. Tennessee custody lawyers know parents value, more than anything else, the relationship they have with their children. 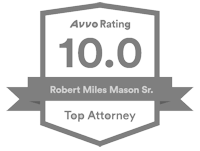 Every attorney and staff member on our legal team appreciates how impassioned and intimidating a Tennessee child custody contest can be. We represent parents who want Tennessee child custody orders to give them maximum participation in their children’s lives. Parents know what is best for their children. Not judges and not attorneys! As Tennessee child custody lawyers, our job is to apply our experience to help clients obtain the custody arrangement they desire under Tennessee law. There is perhaps no other area of family law where experienced legal counsel is more vital to resolving conflict than with child custody proceedings. There are at least seven key strategies to winning a Tennessee child custody case. 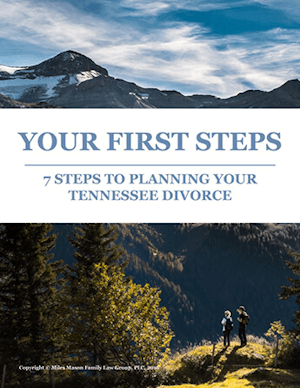 (Take a moment as family lawyer Miles Mason, Sr., discusses the Top 7 Tennessee Custody Divorce Strategies | How To Win Custody in a Tennessee Divorce.) Parents should be educated about their options. They need to express what it is they believe is in the best interests of their children and why. Details do matter. Post-divorce parenting is all about the details and logistics. The parent who puts more time and thought into creating a workable future is the one more likely to negotiate capably for that future. When marriages disintegrate and couples separate, parents find themselves facing a very different family portrait. They imagine an empty future without the pitter patter of tiny feet in the hallway, without silly giggles from the back seat of the car, without teen enthusiasm over just about everything (except chores and homework, perhaps). For unwed parents, establishing paternity and asserting parental rights may open doors to a whole new family portrait. In both scenarios, a party’s desire for a custody “win” over the other parent should not be the goal. When one parent “loses” out on a meaningful relationship with his or her child, the child suffers, too. Instead, the main objectives in a custody challenge include doing what is best for each child, asserting both parents’ right of access, and preparing for child-rearing under a shared custody model. That is, raising children in two separate households under a court-ordered permanent parenting plan. As interpreted by the Supreme Court, every parent – man or woman, married or unmarried – has a fundamental right to access, educate, care for, and raise his or her biological or adopted child under the 14th Amendment of the U.S. Constitution. Knowing you have constitutionally-protected fundamental parental rights equal to that of the other party, the challenge becomes one of vigorously advocating those rights in a Tennessee court of law. To fully appreciate what that encompasses, and to learn how to accomplish your goals, look to the child custody factors. These are the legal questions judges consider in every contested custody case and a focal point for your Memphis TN lawyer’s strategy. Importantly, with the assistance of counsel, custody negotiations are continuous between the parties until a permanent parenting plan is arrived at. Parents are always free to reach agreement on a parenting plan. Doing so eliminates the need for further judicial intervention. Settlements are strongly encouraged at every stage of the proceedings. Therefore, what begins as a contested lawsuit could end without a trial. Be mindful that custody trial litigation is expensive, stressful, and risks a less than desirable outcome because the parents are not the final decision makers. What Is the Purpose of Tennessee’s Child Custody Factors? Whenever parties disagree on who should be the primary residential parent (PRP), the judge must decide for them. In doing so, the judge applies Tennessee’s child custody factors to the evidence and makes a final determination. Experienced family lawyers strongly recommend that you prepare by learning about those statutory child custody factors, any or all of which may apply to your case. Mandated by Tennessee law, the court considers all factors relevant to the case before it, accounts for each child’s best interests, and arrives at a custody determination that allows both parents maximum participation in their children’s lives. Although the requirement of maximum participation means different things to different people, it should let each parent enjoy the maximum amount of time possible with the children. This promotes our state’s “public policy in favor of allowing the child[ren] ample time with both parents, which is a paramount consideration in all Tennessee parenting plan decisions.” Rountree v. Rountree, 369 S.W.3d 122, fn.3 at 136 (Tenn.App. 2012). Parents, particularly Dads, should not apologize for wanting more time and say in their children’s lives. 1. What love, affection, and emotional ties exist between parent and child. 2. 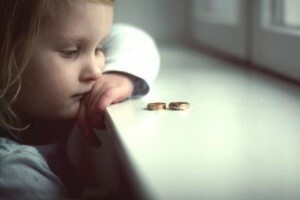 How disposed a parent is to providing food, clothing, medical care, education, and other necessary things for the child. Plus the degree to which a parent acted as the child’s primary caregiver. 3. The importance of continuity in a child’s life. The length of time the child has lived in a stable, satisfactory environment. Note that any child abuse or child sexual abuse which caused the non-perpetrating parent to flee and relocate with the child shall not weigh against an award of custody to that parent. 4. The stability of a parent’s family unit. 5. The mental and physical health of a parent. 6. The child’s record in the home, school, and community. 7. For a child age 12 or older, his or her reasonable preference for PRP. Note that, upon request, the judge may hear a younger child’s preference. 8. Evidence of physical or emotional abuse of a child, or other domestic violence in the parent’s home. Note that evidence of any such abuse against a family member may involve additional court proceedings. 9. The character, behavior, and interactions with another person residing at or frequenting the parent’s home. 10. Each party’s past parenting duties and the potential for future performance of responsibilities. This includes a willingness and ability to facilitate and encourage a close and continuing relationship between the child and both parents, consistent with the child’s best interests. The tenth factor above is really important! The primary residential parent should be the one who the court believes will foster and encourage a meaningful relationship between the child and the other parent. Which means the judge, in choosing the PRP, will likely select the party who is most likely to meet the other parent more than half-way. Acts of parental alienation (such as routinely belittling or criticizing the other parent in the child’s presence) may directly and indirectly interfere with the other parent’s relationship with the child. 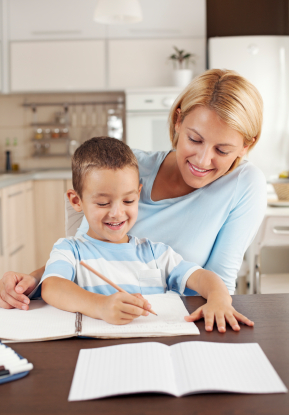 Another essential component of every permanent parenting plan is the residential schedule for each minor child. The court’s final residential provisions must be consistent with each child’s developmental level, as well as the family’s social and economic circumstances. The schedule should also encourage both parents to maintain a loving, stable, and nurturing relationship with their children. Lastly, the court will also consider each parent’s ability to “instruct, inspire, and encourage the child to prepare for a life of service, and to compete successfully in the society that the child faces as an adult.” T.C.A. § 36-6-404. Live of service refers to each parent’s ability to prepare the child for independent living (as much as is possible) as a productive adult in our society. Ideally, to assume a responsible adult role that is wholesome, prosperous, and satisfying. Deborah has been in-and-out of drug rehab for most of her 8-year-old son’s life, has been fired by employers several times, and continues to struggle with addiction. Her husband Aaron has been steadily employed since his son was born, is a deacon of his church, and does not abuse drugs or alcohol. In the best interest of the child, which parent is more likely to prepare the boy for a life of service in society? As you might expect, abundant case law has developed over the years yielding various judicial interpretations of each child custody factor. Every custody contest arrives at the courthouse with a unique set of facts for the judge to analyze. At trial, your attorney will present your case in the most positive light possible. The goal being a permanent parenting plan that works well for you and your children. What Is Important to the Judge? Determining what is best for the child necessarily involves an examination of the comparative fitness of the parents. Including examination of evidence or history of domestic violence, child abuse, child sexual abuse, or child neglect, among other things. There are several professionals who assist parents and the court in making decisions over who should be the primary custodian, what is a good parenting time schedule, where should the children attend school, and so on. In your custody case, any one or all of these third-parties may be involved. There are several professionals who may be asked to assist the parties and the court in resolving various custody issues. Namely the guardian ad litem, parenting coordinator, mediator, and independent forensic child custody evaluator. At any stage in the custody proceedings, a guardian ad litem (GAL) may be appointed by the judge to represent the best interests of the child. Although not routine, such appointment may be deemed necessary when the child’s best interests are not adequately protected by the parties. Frequently, the parent’s interest may conflict with the child’s. For example, a GAL may assert the child’s psychologist-patient privilege to keep confidential mental health records from disclosure during the proceedings. If a GAL is appointed, one party or both parties will be ordered to pay the attorney’s fee. T.C.A. § 34-1-107 and Supreme Court of Tennessee Rule 40A. The mediator is a neutral facilitator, typically a lawyer or retired judge, who conducts discussions with the parties with the goal of assisting them in reaching mutually acceptable agreements. Mediation as a form of alternative dispute resolution (ADR) is commonly used in Tennessee to resolve disagreements without the need for litigation. Mediation is a voluntary, confidential process. And the confidential communications between mediator and both participants are privileged. Both parents will be ordered into mediation before a custody trial may commence. The judge expects the parties to show up to the sessions and participate in good faith even if they resent being there. Give the process a fair shake. A mediator attempts to help parents reach an informed, voluntary settlement, but ultimately is the parties’ right to decide. Independent Forensic Child Custody Evaluator. An independent forensic child custody evaluator may be a psychiatrist, psychologist, a social worker or counselor with a masters degree. The forensic examiner is an expert witness, someone who assists the court in determining what is best for the child. Examination includes assessment of each party’s fitness as a parent, ability to co-parent with shared or joint custody; and the child’s psychological needs given his or her age and stage of development. After the examination is complete, the evaluator typically provides the judge and the parties with a written report. That report includes the expert’s professional opinion with recommendations for custody arrangements. Opining as to which parent is better suited to be the PRP because he or she is most capable of providing a safe, secure, and stable environment for the children. The recommendations of the forensic examiner are very influential with the court. Do take the process seriously. For more information, see Miles Mason, Sr.’s article published in the Tennessee Bar Journal, A Guide to the Independent Child Custody Evaluation. Tennessee does not provide for a judge to require parenting coordination at this time, but the judge may affirm the parties’ agreement to use a parenting coordinator. (There are limitations on the use of parenting coordinators under Tennessee law.) If you anticipate a very high level of conflict with the other parent, then be sure to discuss the potential benefits and detriments of parenting coordination with your family lawyer. We covered the fundamentals of child custody contests. Now let us help prepare you for the Tennessee court process. Every parent should understand how his or her child custody case will proceed through the Tennessee court system. Knowledge of the basic court process could ease your anxiety. But just as importantly, a little advanced study can help you through the tough decision-making required of all parents regarding what is in the best interests of their children. Parents will negotiate a more favorable result if they better understand the law and child custody process. By understanding what is coming next and why, smarter decisions can be made. Smarter decisions lead to fewer mistakes. To do what is ultimately best for your family, you need to know what you are doing in court, why you are doing it, and what Tennessee child custody law will allow. In Tennessee custody disputes, the judge is the final arbiter. Sometimes “winning” child custody can mean making the fewest parenting mistakes. Learn “why” certain things are important. For example, as the parent providing health insurance for the children, give the other parent an insurance card. Send the other parent each child’s practice and game schedule, too, do not make him or her ask for it. If the other parent fails to show up at the children’s extracurricular activities, then he or she takes the blame for not being involved. Unfortunately, some parents learn a little too late that they unwittingly violated their judges’ unwritten rules. For example, the judge may consider “putting the children first” to mean spending every minute of time the parent has available with the children (and never surrendering parenting time to be with a new girlfriend of boyfriend). Another unwritten rule involves discussing the custody case with a child – judges hate it when parents do that. Yet another unwritten rule is to never email or text hateful messages during the custody case. Why? If the parent is incapable of being nice during the case while directly under the spotlight, then that parent will not be nice for the children’s sake after the case is decided. Experienced family lawyers can explain the unwritten rules and advise clients on specific custody case strategies and parenting time negotiation strategies. What follows is an overview of basic court proceedings for child custody cases brought in Tennessee. 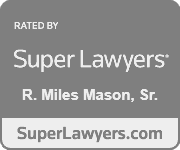 We discuss many of these procedures in greater depth elsewhere, just continue reading related pages on the Miles Mason Family Law Group’s website. 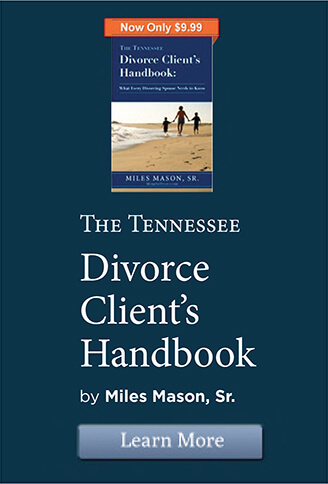 Also, attorney Miles Mason, Sr., covers divorce and custody procedure – from drafting the complaint to litigating at trial – in The Tennessee Divorce Client’s Handbook: What Every Divorcing Spouse Needs to Know. For the time-being, though, familiarize yourself with the civil court process so you can anticipate how the case will move forward to final custody and child support orders. Then investigate further those sensitive matters that are of greatest concern to you. Issues most likely to be disputed given the particular facts and circumstances that your family situation presents. If you have some familiarity with custody proceedings already, then do refresh your recollection of case progression. Note any similarities and dissimilarities from your prior experience, discuss those with your custody lawyer. Laws do change, of course, but also be aware that sitting judges – in Shelby, Fayette, Tipton, and other Tennessee counties – can and do interpret laws differently. By learning the available options, understanding legal terms, and knowing how the parenting plan process’ pieces fit together, a parent can more effectively communicate what he or she wants with legal counsel. Good communication with your custody lawyer is essential to a positive outcome. Jurisdiction is a threshold question. Every court must have jurisdiction over the subject matter of the dispute and over the parties who come before it. When the court lacks jurisdiction, it has no power or authority to make binding decisions. Without jurisdiction, the lawsuit will either be rejected as filed or be dismissed, wasting precious time and resources. Stated differently, an order from a court that lacked jurisdiction is unenforceable. In petitioning for custody, then, the court’s jurisdiction must be established before proceedings commence. Several state statutes apply to jurisdiction generally. When filing for divorce, one of the spouses must be a six-month resident of Tennessee. T.C.A. § 36-4-104. Provision is made for military service members stationed here for a year or longer (at NSA Mid-South in Millington, for example); their residency is presumed absent clear and convincing evidence to the contrary. To learn more about personal jurisdiction, take a look at our discussion on how satisfying the residency requirement is the first step in Tennessee divorce. Because establishing proper jurisdiction at the outset is crucial, an experienced family lawyer should hone in on any UCCJEA red flags after consultation with the client. (4) No court of any other state would have jurisdiction under the criteria specified in subdivision (a)(1), (a)(2), or (a)(3). Once jurisdiction is established, selecting the proper venue for the child custody proceedings is next. Venue simply refers to where the case should proceed within the State of Tennessee. In a divorce, there are several venue possibilities in the Chancery Court or Circuit Court (or other court with jurisdiction). Most cases are filed in the county where the parents last lived together. However, if both parents have moved elsewhere, then the petitioner will likely file in the county where he or she lives at the time. T.C.A. § 36-4-105. There is no need to be overly concerned about selecting proper venue. Your divorce lawyer will make that decision handily. Every civil lawsuit that does not quickly enter into settlement negotiations or abruptly end with court dismissal will entail discovery. Discovery is the process of information-gathering and exchange between parties. Many Tennessee rules and laws control the methods, scope, and limits on discovery. This is a necessary process with many benefits if handled well, and many pitfalls if handled poorly. Do speak to your attorney about personal information that is and is not discoverable in a divorce or custody dispute. Physical or mental examination upon motion is a request that the court order a parent or child to submit to physical or mental examination – T.R.C.P. Rule 35. Some discovery methods are reserved exclusively for the parties, such as interrogatories and requests for admission. Others may be served on non-parties, such as subpoenas and depositions. Whenever implemented, discovery must be relevant to the child custody proceedings; must not unnecessarily inundate the other party with excessive requests; and must not be used to humiliate or harass the other party. Lastly, there are limitations on the scope of discovery. In general, privileged communications are nondiscoverable in civil court proceedings absent an exception or voluntary waiver by the person holding the privilege (the client or the patient). These include confidential communications between a child custody lawyer and his client (attorney-client privilege). Other privileges recognized in Tennessee include the doctor/psychiatrist-patient privilege; psychologist/psychological examiner-client privilege; licensed social worker-client privilege; and the professional counselor, marital and family therapist, clinical pastoral therapist-client privilege. T.R.E. Rule 501. With few exceptions, when filing for divorce with children or petitioning the court for child custody when parents are unmarried, both parties must attend a court-approved seminar on the impact divorce and custody can have on minor children. The seminar is only about four hours, but not every program advertised online is court-approved. Be sure to get a list of providers from your lawyer or Clerk of the Court before signing up for any parent education class. A good place to begin searching for a convenient class schedule is our Memphis TN Parenting Education Seminars & Classes Directory. 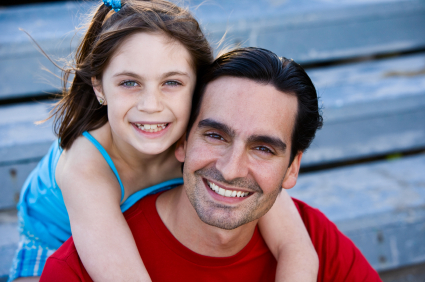 Every child custody case will result in a permanent parenting plan. Achieving that end is seldom a simple task, however, especially with parents who are intransigent or seek absolute control. A good plan requires some level of cooperation and communication between parties. Something made more difficult when intense emotions and hostilities cloud the parties’ focus on what is right for their children. Parenting plans are intended to cover almost every child-rearing contingency. The parties are given wide latitude in deciding how their parenting plan will be tailored, so long as the result is reasonable and fulfills the legal requirements. When parents cannot agree, however, the judge will step in and make decisions for them after determining what is in the best interests of the children under the child custody factors. The permanent parenting plan is a written document representing the parents’ agreements regarding child custody. Now that the parties live separately, they must work out a plan – a year’s worth of scheduling – for raising their children from two households. Parenting plans may have similarities from one case to the next, but they no two plans are identical. Each plan is tailored to the needs, desires, and requirements of each family. The parenting plan includes a schedule for parenting time, or residential time (this replaces parent “visitation”). Importantly, a decision must be made as to the parent who shall have final decision-making authority over the children or, in the alternative, whether decision-making authority shall be shared by the parties as joint custodians. The first, and possibly most challenging, decision to be made is who will be the primary residential parent (PRP) with whom the children live (the custodian), and who will be the alternate residential parent (ARP). Ordinarily, the plan includes a parenting schedule detailing where the children will reside during the week and on weekends, which parent will be responsible for dropping them off and picking them up from daycare, school, and extracurricular activities on certain days. A schedule is set for holidays, summer vacations, and special event days throughout the year, too. A permanent parenting plan under final orders from the court is distinguishable from a temporary parenting plan under interim orders. Temporary orders are effective during pendency of the case. Permanent orders replace temporary orders. To commence work on your proposed parenting plan, and to see actual examples from real cases, purchase your copy of Tennessee Parenting Plans and Child Support Worksheets: Building a Constructive Future for Your Family, by Memphis, Tennessee child custody lawyer Miles Mason, Sr. Settling child custody by agreement is usually the least stressful, least costly path. But parents are not always able to reach agreement on so many child-rearing matters. The decisions they do reach must be in the best interests of their children, another point of contention for many. To help parents resolve as many issues as possible without litigation, they turn to mediation with a neutral professional mediator. Mediation is mandatory in all child custody cases before a trial can be held to address the outstanding issues. Being ordered to participate in mediation, however, is not the same as being ordered to reach an agreement through mediation, which is a voluntary process. (“You can lead a horse to water, but you cannot make it drink.”) Judges often order parties in a divorce to mediate their disputes, and not just over custody concerns. The reason being that mediation has been proven, time and time again, to help parties resolve parenting disagreements. Parents may not be able to resolve all of their disputes, but every issue addressed and resolved through mediation is one less matter to litigate at trial. Therefore, the general rule in all custody cases is to mediate first, and litigate second. No parent should run haphazardly into a child custody trial. Mistakes, poor planning, missed deadlines, lack of understanding of what the law requires, misinterpreting laws, all can lead to disastrous results. Be prudent, these are your children. The quality of your relationship with them is at stake. Whether the trial is part of a divorce, legal separation, or unwed parents’ battle over custody following paternity establishment, prepare for the best possible outcome by hiring a child custody lawyer with extensive litigation experience. Battling the other parent at trial over custody is, at best, stressful and, at worst, emotionally exhausting. You will muster more confidence in your lawyer’s representation and strategy, and be more in control of your case, if you understand a few applicable rules of court. Consider how the following evidentiary rules could impact your custody proceedings. You may not think of your Facebook page as an invitation for discovery, but it often is. At trial, expect both attorneys to use social media evidence to undermine the adverse party’s credibility and bolster the client’s own. After all, determining what is in the best interests of the child requires a comparative fitness analysis of the parents. What each party has posted online, has had posted about them online, has chatted about, or has commented on, could very well find its way into the courtroom as evidence. Such evidence is used to impeach testimony or to prove something is more or less likely to be true. Facebook and YouTube, particularly, are replete with photographs exhibiting drunkenness, drug use, wasteful spending, gambling, and just plain stupidity. None of which are helpful if the subject of the post is a parent seeking custody (or trying to hold onto custody). But comments, blogs, microblogs, and content posted to any social media networking website – Twitter, LinkedIn, Google+, Flickr, eHarmony, Match.com – could also be useful to prove or disprove something at trial. Lay witnesses often testify in child custody proceedings about matters over which they have personal knowledge. T.R.E. Rule 602. For example, a child’s soccer coach may testify as to his observations of which parent regularly attends a child’s soccer game and practice session. If the testimony can help the judge determine what is in the best interests of the child, then it is relevant and could be admissible at trial. If you have been somewhat out of touch with the day-to-day goings on in your household, familiarize yourself with everyone who is involved with your child. Teachers, coaches, pastors, doctors, daycare administrators, neighbors, teammates, and so on. Get names, addresses, telephone numbers, and make notes. You will need this information and so will your attorney. Unlike lay witnesses, expert witnesses do not ordinarily testify as to their personal knowledge. T.R.E. Rule 702. Instead, their scientific, technical, or specialized training must substantially assist the judge in understanding certain evidence or in determining a fact that is in issue, such as what is in the children’s best interests. The independent forensic child custody evaluator, ordinarily a psychiatrist or psychologist, is the expert witness most likely to testify in your child custody trial. The custody evaluation provides the judge and the parties with an unbiased, methodical examination of pertinent facts, with analysis and recommendations from a mental health professional. The court may appoint an independent forensic child custody evaluator on its own, sua sponte. Or the parties may agree to an evaluation. In a battle of the experts, each party may hire his or her own forensic examiner. Children are seldom concerned about what is in their best interests when asked to pick which parent they prefer to live with most of the time. And placing children in the position of choosing one parent over the other can cause far more harm to them than good. Mindful of the pressure such a question places on a youngster, however, the court may consider the reasonable preference of child who is at least a 12-year-old. T.C.A. § 36-6-106(7)(A). Furthermore, and guardedly so, the court may hear the preference of a younger child upon request. In weighing the children’s wishes, the preferences of older children should normally be given greater weight than the preferences of younger children. Original Child Custody and Child Support Orders. After all of the evidence is in and closing statements have been made, the judge will make a final decision on custody. This is, by issue a permanent parenting plan order (the child custody order) and original child support order binds both parents from that day forward. After permanent orders are issued, custody modification or child support modification is possible under certain limited circumstances. Modification of orders is not uncommon in Tennessee. Be aware that any parent who violates a custody or child support order could be held in contempt of court, which can result in jail time, attorneys’ fees, court fees, revocation of a driver’s license, community service, and interest on child support arrears. No matter what, do not impulsively take your child away from the custodial parent in violation of the permanent parenting plan order. Taking your child away from the PRP could result in criminal charges for custodial interference, a Class A misdemeanor in Tennessee. TCA § 39-13-306.